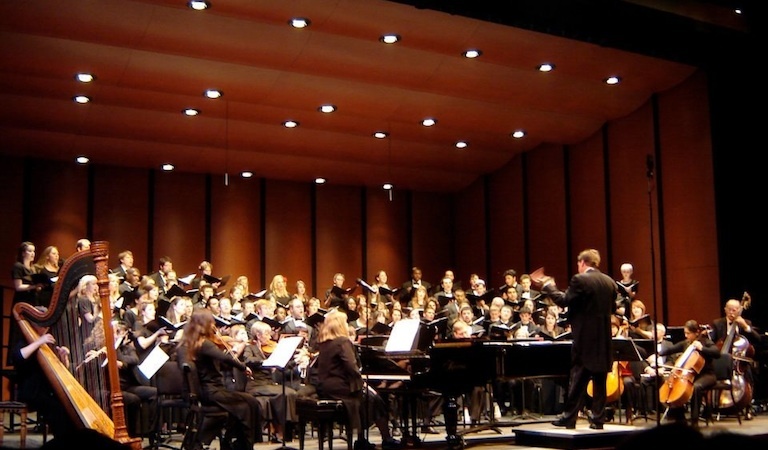 Every semester our department presents over 20 concerts, performances, recitals, workshops, and clinics. Not only do they showcase the talent of our students and musicians but they are also a great way to introduce the community to our department and all that we have to offer. Click the icon above for a listing of all music ensemble concerts, workshops, and events sponsored by the Music Department. Click the icon above for a printable PDF of our most recent concert brochure.